Now forget about cumbersome and inefficient methods of keeping records on papers. Cloud based solutions enable employees to submit RFIs, daily reports, change orders, work records and other verified documents in real-time. This data collection is lightning fast and highly convenient. Prevents reports to lost, speed up the information flow with tracking records of date, time, location as well as digital signature. Your smartphone can turn into mobile office anywhere. Project management has never been easier. Cloud based solutions provides real-time information even on your smartphones. Ability to access and update data anywhere-anytime improves productivity on your projects. Also reduces risk by resolving issues as soon as they arise. Effective communication and collaboration is the key component to success of any Fence Construction Project. Conversations become productive when team members have access to same information in real-time. 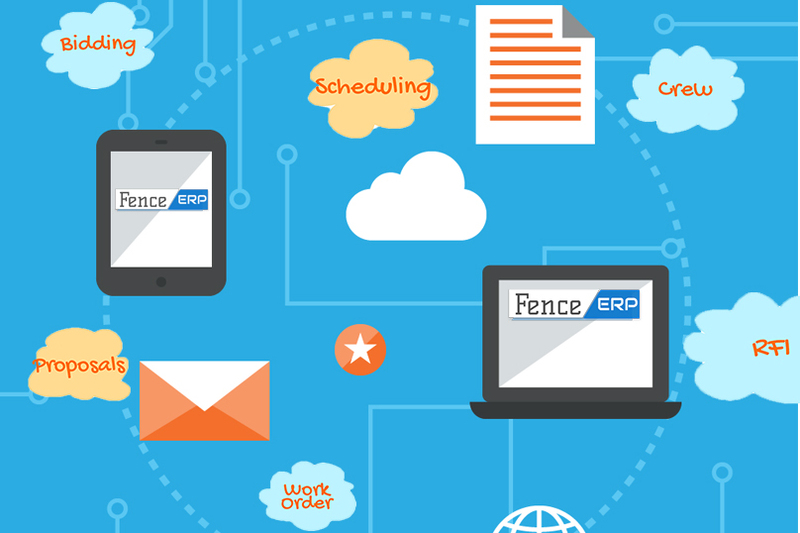 Fence construction businesses are beginning to see productivity gains through cloud based construction management softwares. Working smarter – Incorporating Technology – is always one of the best solution. Reducing waste, labor costs and saving time by bringing everyone on the same page and preventing mistakes are the best ways and increase profits. Want to learn more about how technology is transforming the Fence Construction Industry? Feel free to contact our experts! GOT A BIG IDEA? OR WANT TO INNOVATE?